This is the perfect time of year for this dish! Choose a sun-ripened, heirloom tomato to bring the taste of summer to the plate. 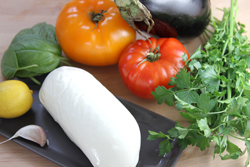 Comprised of delicious layers of flavor, this caprese-style salad assembles readily. Grilled eggplant takes on a smoky character that pairs perfectly with fresh mozzarella and seasonal heirloom tomatoes. 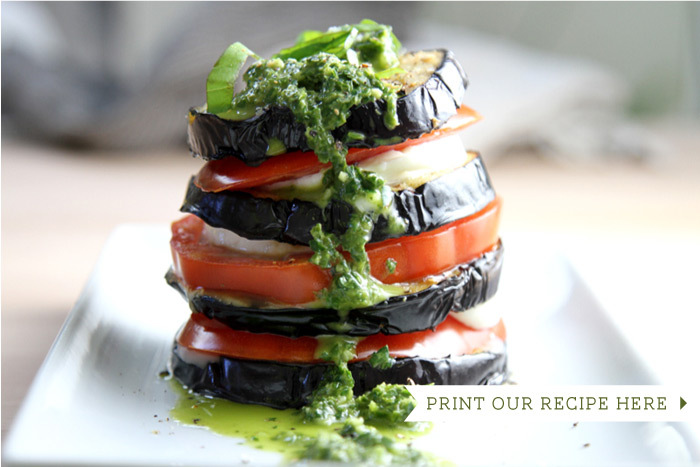 The fresh pesto accentuates the savory flavors while adding a nice brightness to the dish. 1. 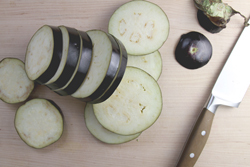 Cut the eggplant into round slices - no need to peel. Drizzle the slices with olive oil, kosher salt and pepper. 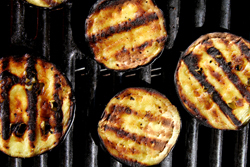 Prepare a medium-hot grill, and grill the eggplant slices for 3-4 minutes on each side, or until golden brown. 2. Slice the cheese and tomatoes into 1/4” slices. 3. 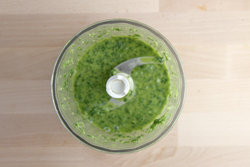 Prepare the pesto in a small food processor by combining the basil leaves, parsley leaves, garlic cloves, lemon juice, olive oil, salt and pepper. Blend until smooth. 4. 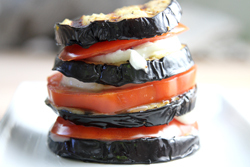 Stack the grilled eggplant slices alternating with cheese and tomato slices. Drizzle with the fresh pesto and enjoy immediately.